Dr. Roger P. Rohrbach served on the Biological and Agricultural Engineering faculty for more than 35 years. 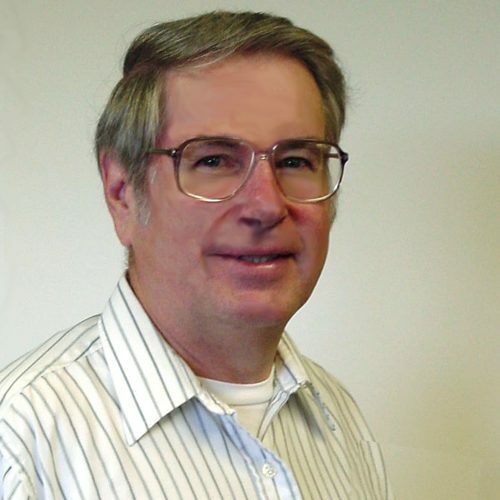 Rohrbach joined the department in 1968 with a PhD from The Ohio State University. His appointment was split between research and teaching. His research included work on precision planting, blueberry harvesting, sorting of grapes and blueberries, singulation of pine seedlings, and rapid chemical analysis of blueberries. During his career he published three books, received eleven patents, and either authored or co-authored 114 publications and papers. For twenty-seven years, Rohrbach taught the departments senior design course. The experience that undergraduates received in the course is frequently mentioned by our alumni as the high point in their NC State undergraduate engineering program. As a mentor to students, Rohrbach took pride in sharing both the frustrations and the successes of students as they worked on design projects. At the time each student had their own individual projects and with growing undergraduate enrollment teaching senior design was a difficult task and he did it well. Rohrbach has very capably leading the departments planning efforts for the Engineering Commission of ABET, 111 Market Place, Suite 1050, Baltimore, MD 21202-4012, telephone: (410) 347-7700. review process. He suggested and planned teaching faculty retreats to evaluate and modify our curricula to assure the department is meeting core objectives as established by the department. This is now an annual review to assure students they are receiving a quality education. The department was pleased when Rohrbach, although retired, agreed to continue to work half-time through the remainder of 2004 to complete the departments ABET review reports and keep the department “on track” throughout the review process. Rohrbach, R., Spurlin, J., Mayberry, K., & Rajala, S. (2004), In Teaching and learning through inquiry: A guidebook for institutions and instructors. Sterling, VA: Stylus Publishing. Lee, V. S., Greene, D. B., Wellman, D. J., & al. (2004). , . Sterling, Va.: Stylus Pub. Rohrbach, R. P., & Mainland, C. M. (1993), Acta Horticulturae, (346), 338. Rohrbach, R. P., & Tinsey, K. G. (1989), Paper (American Society of Agricultural Engineers), (89-1595), 21. Rohrbach, R. P., Franke, J. E., & Willits, D. H. (1982), Transactions of the ASAE, 25(2), 261.